Live Blood Analysis Darkfield Microscopy Course: What is Candida? (DrEddyClinic News) If you’re into natural health and nutrition, there’s a good chance you’ve heard of Candida. It’s a common yeast that’s present on skin, in the mucous membranes, and even the gut. In fact, over half of all humans have Candida albicans present in the body. While most Candida are harmless as long as you’re healthy (good bacteria in the body keeps them in check), sometimes diet or lifestyle causes an overgrowth and imbalance. The problem comes in when someone has a suppressed immune system, which allows Candida to thrive and spread throughout the body. Preemies are especially at risk because their immune system isn’t fully developed. You might be wondering if there are any natural ways to fight Candida. With more and more of these organisms developing drug resistance, researchers are often looking for alternative remedies. A recent study looking at lavender oil may be just what any nature-loving herbalist needs for supporting immune health and possibly fighting candida. But while the essential oil shows good resistance to fungus, more research is needed to explore all its benefits. Some reports even suggest colloidal silver could be helpful against candida. Now, while you might have heard taking garlic can help, recent research suggests that it’s actually not as beneficial against yeast as originally thought. That being said, I highly suggest using garlic every day. Candida overgrowth could also lead to a condition commonly called leaky gut, something that can lead to food sensitivities and intolerances, among other things. If you suspect you have candida or have been diagnosed, you need to take immediate action. Using something like Mycozil http://www.globalhealingcenter.com/supplements/mycozil.html?a_aid=141637&a_bid=9fc7ec0d on the onset of symptoms may help support whole-body health against yeast and fungal imbalance. 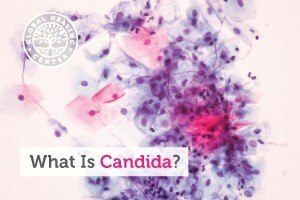 Has Candida been an issue for you? What have you found to be an effective solution? 1. Fraunhofer. Tracking down pathogenic yeasts http://www.fraunhofer.de/en/press/research-news/2010/09/biotechnica-2010.html. Press Release. 2. Hickman, M. A. et al. The ‘obligate diploid’ Candida albicans forms mating-competent haploids http://www.ncbi.nlm.nih.gov/pubmed/23364695. Nature. 494. 3. O’Meara, T. R. et al. Global analysis of fungal morphology exposes mechanisms of host cell escape http://www.ncbi.nlm.nih.gov/pubmed/25824284. Nature Communications. 6 (6741). 4. Zuzarte, M. et al. Chemical composition and antifungal activity of the essential oils of Lavandula viridis L’Hér http://jmm.sgmjournals.org/content/60/5/612.full. Journal of Medical Microbiology. 60 (5). 5. Al Groosh, G. et al. The prevalence of opportunistic pathogens associated with intraoral implants http://www.ncbi.nlm.nih.gov/pubmed/21332760. Letters in Applied Microbiology. 52 (5). 6. Watson, C. J. et al. The effects of oral garlic on vaginal candida colony counts: a randomised placebo controlled double-blind trial http://www.ncbi.nlm.nih.gov/pubmed/24308540. BJOG: An International Journal of Obstetrics & Gynaecology.